The Clean Jobs Illinois report, released today by the Clean Energy Trust in partnership with the Environmental Law & Policy Center, Natural Resources Defense Council and Environmental Entrepreneurs, found 96,875 workers statewide spend some portion of their day supporting clean energy. More than a third of the jobs are in engineering, research, assembly and manufacturing. “These are good jobs with good benefits, and they make Illinois’ economy more productive and competitive,” the report notes. Another 30 percent of the jobs are in installation and maintenance, positions that cannot be outsourced or off-shored. Energy efficiency accounted for almost two-thirds (62 percent) of the jobs, while renewable energy accounted for 28 percent. Energy efficiency jobs included those related to weatherization, lighting, efficient building materials, smart grid software, HVAC components and energy storage. Renewable energy included solar, wind, geothermal and biofuels industries. “Greenhouse gas management,” including coal gasification and carbon capture and sequestration, were also included as clean jobs. The ELPC and NRDC are members of RE-AMP, which also publishes Midwest Energy News. The Joyce Foundation, which is a funder of Midwest Energy News, was a sponsor of the research. The report shows that federal, state and local policies have a major impact on clean energy jobs, in both negative and positive ways. It notes that the expiration of the Production Tax Credit for wind energy has hurt job growth nationwide. 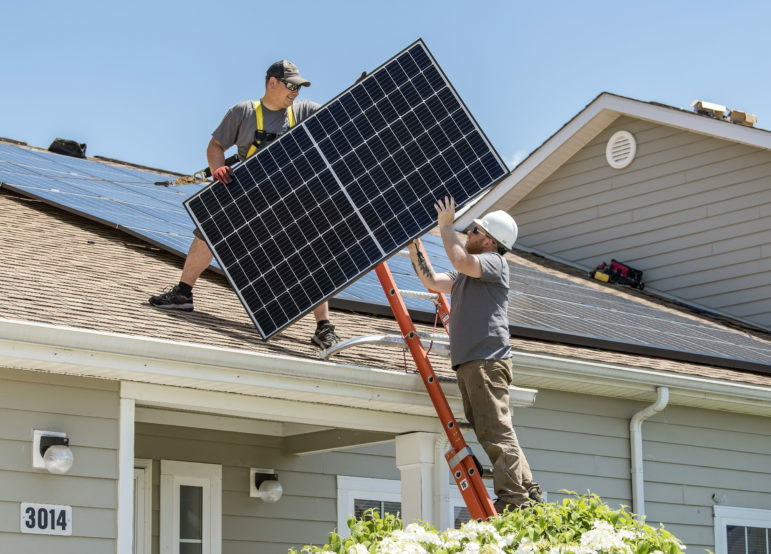 While Illinois’ Renewable Portfolio Standard (RPS) helped create renewable energy jobs in the past, more recently complications with the structure of the RPS have meant a chill in renewable energy creation in Illinois. For several years clean energy advocates have been calling for state legislation to “fix” the RPS. 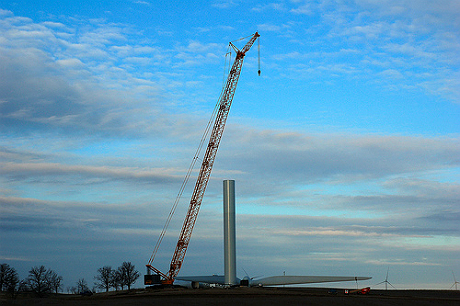 The report says that Illinois was a top-five state for wind energy jobs from 2008 to 2012. However, “due in significant part to policy headwinds, renewable energy industry employment contracted in 2013 by 0.2 percent. 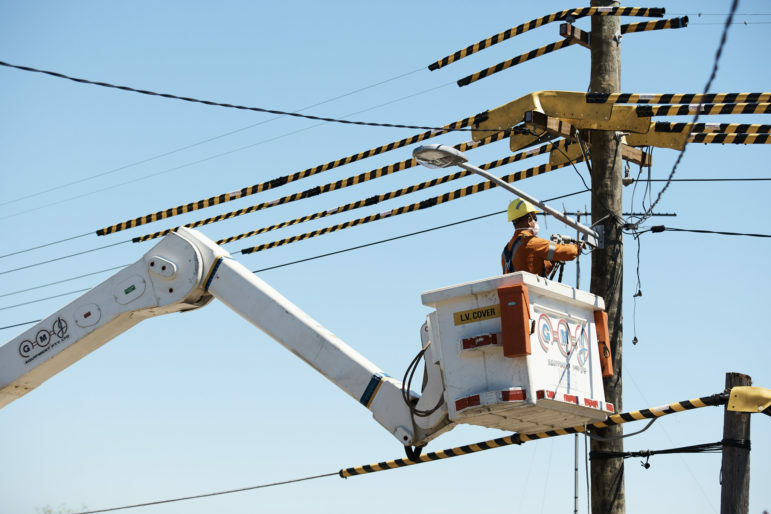 Energy efficiency jobs were driven in part by the state law demanding utilities reduce energy demand by two percent each year, though subject to a rate cap limiting spending for those programs to 2.015 percent of rate payments. The report notes that the Illinois Commerce Commission extended this mandate thanks in part to advocacy from environmental groups. Illinois ranked eighth nationwide on the U.S. Cleantech Leadership Index of policies that reduce environmental footprints. Strong building codes and energy efficiency programs, including the Retrofit Chicago program to overhaul public and commercial buildings, were cited. Illinois has benefited greatly from the significant number of clean energy businesses locating in Chicago, thanks to the availability of skilled workers and top research institutions, plus good public transportation and overall quality of life. The report notes that clean energy is a “growth stage” sector, with more than three-quarters of the Illinois jobs at firms with fewer than 25 workers; and more than half at firms with 5 or fewer workers. The report profiles several clean energy jobs, including that of a residential geothermal worker whose employer, Scranton Heating and Cooling, has installed geothermal systems at almost all of its last 50 construction projects. The systems are popular “thanks to electric bill savings and a 30 percent tax credit,” the report notes. It also features an employee of AllCell Technologies, a lithium ion battery maker that is one of several battery companies calling Chicago home. Chicago is becoming a battery innovation hub thanks to the new Joint Center for Energy Storage Research (JCESR), a Department of Energy-funded public-private partnership with a “5x5x5 goal: creating batteries with five times the energy density of today’s batteries at one fifth the cost in five years,” as the report explains. The report also features a worker at LanzaTech, which uses microbes to recycle waste gases from steel mills and other industries into ethanol for fuel or chemicals used in rubber or other products. And it highlights a woman who quit her doctoral program at Stanford University to become a data specialist for the wind energy leader Invenergy. Company representatives surveyed for the report said that policymakers could help the sector with more rebates and incentives for clean energy investment; and by addressing policy obstacles, including high taxes and “minimal support” for clean energy policies, renewable portfolio standards, grant programs and the like. State regulations were the most troublesome to 66 percent of respondents, followed by local regulations (30 percent) and then federal ones (19 percent). The study noted that more than half the firms surveyed found it difficult to fill clean energy jobs – a higher rate than other sectors.